The book of Job ends with two very surprising chapters. The first because of its content, emphasising what has gone before and the second because it appears to stand the whole book on its head! Here is the first part of the first of these chapters (which is actually in the chapter before). It is about Behemoth whose name means something like the ‘beast of beasts’. He is a terrifying creature, very like a hippopotamus with some supernatural additions. As if that is not enough we now go on to read about the Leviathan. He is just as dangerous sounding as Behemoth, very like a crocodile, again with some supernatural additions. We may well ask “what was that all about?” There is no other Biblical reference to Behemoth and not many to Leviathan, though it is possible to see that this latter is a sea or water monster. Both are possibly linked in the culture and literature of that area in that time with gods, the god of death and the god of evil or the Satan himself. Their dual role is strikingly similar to that of the dragon and the beast from the sea of the book of Revelation, the twin figures of evil. Both have power, strength and savagery far beyond human ability to match. Therefore, since they are the creation of the Lord, part of his world and under his control, they set a marker for power, which the Lord stands far beyond. Also, particularly with Leviathan who rules over the sea, which was the well-known symbol of the chaotic, they stand as markers of the chaotic nature of the Lord’s world. Thus they reinforce the statement made in our last study that this is an essentially chaotic world and it is no good pretending otherwise, however difficult it may be to fit that into a scheme of theology and our understanding of the ways of the Lord. Now we come to the final words of Job in the first 6 verses of the last chapter. Job has finally come to a realisation of what he has been doing wrong and how he can remedy that. He now realises how high above him the Lord is, that all his attempted arguments against what has happened to him were a waste of breath. The Lord has a plan and a purpose for him, although he is unable to see what that is and how it will work out so that he could only see it as part of a chaotic world and accept that it is in the hand of the Lord. He is deeply sorry and upset by what he has done and said so he repents – not of sins in the ordinary sense but of his failure to acknowledge the place and power of the Lord in his life. The author of the book of Job has brought it to a point, a single climactic statement in a way strikingly similar to the way John would do with his gospel many centuries later. John brings his book to the climax statement “My Lord and My God” by quoting the words of Thomas, obviously intending and hoping that his readers will make that same statement for themselves. Our author brings us to the statement of Job, “My ears have heard of you but now my eyes have seen you!” also obviously intending that we should echo that statement for ourselves. John continued by quoting the words of Jesus, “because you have seen me, you have believed; blessed are those who have not seen and yet have believed” and if our author had had access to those words I think he too would have used them. We are not going to see the Lord, not likely to do so any way in this life; we are not going to be able to understand all his ways any more than Job did; we are going to get confused by all we hear about him as Job did; but with the eyes of faith we can see him; with the knowledge we do have we can believe – and then we are blessed – his promise, not my assertion. Question:	when did you start hearing about Jesus? When did you begin to see him – to see him properly in the sense Job means? What was the trigger that changed you from hearing to seeing? Could you make that, which was the trigger event for you, into the trigger event for someone else? In verse 7 we leave behind the poetic dialogues that have constituted most of this amazing book. We are back into the simple prose of the first 2 chapters and this part chapter – the frame of the poetic stuff. Here it is. The obvious first reaction is surprise. Job has been right all along and his 3 friends have not (Elihu does not get a mention – a major reason for thinking the speech of Elihu was a late addition to the story). So Job, described as ‘my servant’ and thus equated with people like Moses and David, is to act as a priest for them. We must also note that if what these 3 guys said was all so wrong how can we define the truthfulness of scripture – inerrancy, suggesting nothing was in error, does not seem to be the best word to use in spite of its popularity. And then we are told what Job’s future was. What has all the argument been about if Job was headed to such a lovely future? But is it really such a wonderful future? He gets exactly the same size family as he had before but the first family died and their deaths will have left a scar that will never completely heal. People are people and cannot be substituted one for one just like that. Not even if his daughters are now so much more beautiful than the ones he had before and have such wonderful names. And all those animals, just twice as many of each variety as he had in the first place, did that make life any easier? Yoiks, WOW, Hallelujah and Hooray. One final comment: this is a great book of the Bible, perhaps unfairly neglected (that really means that I didn’t know it very well at all until I started looking into it for these notes!). Also, more than most of the scripture it will mean different things to different people. I have attempted to chart one particular way through it for my own good and, hopefully, yours as well. Don’t let it stop there. Read it, think about it, meditate on it for yourself and find your own way through this challenging and thrilling writing. May the Lord bless you in so doing. Finally, at last, after all the human argument, the LORD speaks out of the storm - or the whirlwind as most of the translations translate the word here. Even now if we expect conclusive answers to all the questions Job and his friends have thrown up we are going to be disappointed. There are some answers but also some fundamentally unanswered questions; questions that will never find an answer in this world. it is a huge passage but it all needs to be read together. It will lose its force if I break it up into short bits. So here it is. Perhaps the first thing to notice in the very first verse is that it is the LORD, Yahweh, who is speaking. This is the personal name of the God of Abraham, Isaac and Jacob given to Moses at the burning bush. I have been referring to God as the Lord throughout these studies because I reckon that is the way that we commonly think of him. By doing so we tend to confuse God the Father with Jesus, but that is no bad thing. But in fact ever since the beginning of the arguments at the start of chapter 3 he has been spoken of as God or God Almighty. Suddenly the relationship is much closer. if I go to the west, I do not find him. When he is at work in the north, I do not see him; when he turns to the south, I catch no glimpse of him.” Now, suddenly, the Lord is there in front of him in somewhat terrifying fashion.. Not quietly, soothingly, but in the whirlwind. In C. S. Lewis’s famous children books Aslan, the lion, stands for Christ. The children are warned, “ he is not a tame lion”. Our God, the same as Job’s, is not tame. does the cause/effect principle operate in the moral and social world? has the Lord left us with a basically chaotic world? can we trust in the reliability of God if he presides over this sort of world? To these we must now add a fifth from Elihu’s arguments - are the problems of life caused by the Lord’s need to discipline us for our good? But this last is not considered in these chapters. We have, I think, a clear answer to question 2: yes, this is a chaotic world. most of the first of these chapters is about the chaos of the weather. In many parts of the world the weather does tend to change according to a fairly steady pattern: warmer (or cooler) every day than the day before. It doesn’t work that way in the UK where a weather pattern scarcely exists! There was clearly enough variation in the weather of the land of Uz for it to be described as chaotic. The next chapter adds to that impression of uncontrollable chaos. 6 animals are described. The first 4 are all just about as wild and untameable as they could possibly be. The last 2, the horse and the hawk, though tameable are depicted as fierce and wild. Chaos rules. OK. The trouble is that the systematic theologies and the Bible dictionaries, drawing on a wide range of scripture say something quite different. Things like: “God upholds his creatures in ordered existence … and governs all events, circumstances and free acts of angels and men.” They can, of course, quote a wide range of texts about counting the hairs on our heads and sparrows falling etc. and are quite right in what they say. This is one of the points where the Wisdom literature (Job, Ecclesiastes, Proverbs) challenges the more conventional outlook of the bulk of Scripture. It is a useful and important challenge. God is in control, but we are not God, so to us it all looks thoroughly chaotic as it did to Job and his friends. Some people seem to think they are only being properly spiritual if they relate everything, good or bad, immediately back to the hand of the Lord. But that is not what the book of Job does. We have been told that all the calamities that fell on Job had a secondary cause. So, although in the last chapter of the book we shall read about “all the trouble the Lord had brought on him” that doesn’t remove the sense that the events described in these 2 chapters are at a second order remove from the Lord and the pervading sense of a chaotic world right through the book and particularly in these last chapters. From our perspective the world is a chaotic place as it was to these guys. Question: have you thought through how you think about and deal with the traumas of life? Be aware that not everybody will have the same answers to that question. Everyone’s answer will depend on many factors such as personality, church culture, society culture, experiences, etc. it is important to have thought these things out and to have an answer to that question so that you do not lose faith when trouble hits. To say “I no longer believe because this or that happened” is pathetic. The book of Job is designed so that will not happen. The answers to questions 1 and 3, concerning the cause/effect principle and the way to live wisely are not much in view here. But they don’t need to be. The whole book has repeatedly raised the CEP only to show that it does not work, either directly in context or by contrast with the terrible disasters that afflicted Job. Living wisely has also appeared throughout the book. In this passage we are asked “who has the wisdom to count the clouds”, obviously expecting the answer “only the Lord”, thus emphasising that he is the true, only and complete source of real wisdom. We are also told that the ostrich lacks wisdom simply because the Lord did not give her wisdom. Only in the fear of the Lord, in honouring and trusting him, is wisdom to be found. When we have finished probing and analyzing we need to be careful that we have not missed the real force of this speech from the whirlwind. In total it is saying: look at this world in which you live; thrill to the never ending pageant of the weather; be awe struck by the variety and the majesty of the animals that inhabit it; realize how small and insignificant you are. When you, Job, have regained your sense of proportion, stopped agonizing about an impossible desire for what you think would be justice, only then will you be able to accept you are where you are and start living again, start moving forward, gain wisdom. And as it was for Job, so it is for us. Unfortunately many of us will have one big disadvantage Job did not have. So I want to share with you one huge question to which I do not know the answer. It comes to my mind because these chapters are so full of the natural world. I am a small town boy who has always loved the countryside, enjoyed the wind and the rain as well as the sun and escaped to the hills and the country as often as possible. So these 2 chapters are very meaningful to me and give out a great picture of the Lord and his ways. Question: But most of the world’s peoples live in big cities with concrete underfoot and smog overhead. Perhaps that describes your circumstances. If so, how then, where then, do you get your pictures of the Lord from? I know many people live vibrant and meaningful spiritual lives in such situations. I hope you do. But how? Think about it. Discuss it with your friends and draw strength from what the Lord tells you together. A young man sounds off. The next 5 chapters of the book of Job are rather strange. The discussion between Job and his 3 friends has come to its end. A young man called Elihu speaks up with a 5 chapter long speech, an uninterrupted harangue in fact. Unlike the 3 friends he is an Israelite and he is young. He is not mentioned anywhere else in the book as the others are. All of which makes many people think his contribution is a late addition to the book. Perhaps. But we have it as a part of scripture so we need to look at it and may expect to get something from it. Four main points arise from what he said, of which only one really contributes much to the argument of the book. 4. In his last chapter he says things which do serve as a preparation for the following word from the Lord. I am not going to Job all these 5 chapters, you will be glad to hear, but pick out verses from various places to follow the scheme above. 1. Arrogant Elihu. Job 32: 6 – 12, 17 – 22; 33: 1 – 3; 34: 1 – 4; 7 – 10b; 36: 1 – 4. Oh dear! Not a nice lad, I think. Fortunately not all, or not many, young folk are like that. Not much to learn there except possibly what not to do and say! 2. Ideas repeated. After claiming to know better Elihu is unable to get away from the basic cause-effect principle that dominated the comments and advice of the 3 friends. Listen to this: JOB 34: 5 – 12, 21 – 28; 36: 5 – 12; 34: 11. They all take us right back to the CEP that we have seen has to be rejected. And now to point 3, which is much, the most important new idea Elihu advances. 3. The discipline of the Lord. We might accept what he says on this subject except we have to remember the appalling multiple disasters that Job has experienced. They make it very difficult to accept the validity of Elihu’s arguments. Here is what he said: JOB 33: 14 – 30; 36: 5 – 16. He thinks that Job is simply experiencing the discipline of the Lord, designed to aid his spiritual life by developing his wisdom. So he says Job 33: 29, 30. Half-truths are always dangerous and this is a half-truth. Yes, but surely there are limits to what can be called discipline before it degenerates into abuse. Those who experience difficult childhoods: perhaps the early death of their mother or being sent back home at an early age for schooling and not seeing their parents who are working in another country for many years, being forced to toughen up and become self dependent at an early age, often rise to high positions in society. But would we consider such things desirable? Surely not. Somewhere we have to draw a line between what is a strengthening discipline and a result of the Normal Chaos of Life. And this must apply to the Lord and his people as well as families on this earth. What happened to Job must fall into the NCL category. So – sorry, Elihu – but I think you are entirely wrong and have overstepped the mark in telling Job he has been disciplined by the Lord. It is also hard to find NT examples of discipline at all. What Jesus did in delaying his journey to the house of Martha and Mary as their brother Lazarus lay dying might be said to have a disciplinary effect strengthening their faith, but I find it hard to think of any other examples where he acted like that. 4. Preparation for the word from the Lord. Living in UK we get plenty of poor weather but only very seldom is it really bad weather. Tornados, really heavy rain, extreme cold or dangerously hot weather we do not get. But in most of the world these things are awe-inspiring, dangerous and life threatening things that happen regularly. So to express his view of what the Lord is like Elihu uses these illustrations. He says: Job 36: 27 – 37: 13. He then challenges Job to explain these things Job 37: 14 – 16. And then he equates Job’s inability to understand the way of the Lord with him in his private world with his inability to understand the weather. It is one picturesque way to talk about the NCL! my words are on the tip of my tongue. My words come from an upright heart; my lips sincerely speak what I know. The Spirit of God has made me; the breath of the Almighty gives me life.” , though we may argue with much of what he said. He has a high view of the Lord when he says : “So listen to me. Far be it from God to do evil, It is unthinkable that God would do wrong, that the Almighty would pervert justice. Who appointed him over the earth? if I have done wrong, I will not do so again.” Should God then reward you on your terms, when you refuse to repent? You must decide, not I; so tell me what you know.” It is even questionable whether Job failed to repent. By promising not to repeat his errors he at least promised the most neglected part of repentance! Jesus always looked to people’s future as much as their past when he said “go and sin no more”! That is fine provided we don’t go on to say that correction is the purpose of suffering. Yes – we will experience suffering in this life; yes – we can learn many valuable lessons from it and grow because of it; no – we cannot and must not go on to equate our suffering with our potential for growth any more than we can equate it with punishment for ours sins. Someone has rightly said “ the greatness of Christianity lies in the fact that it does not seek a supernatural remedy for suffering but a supernatural use for it”. Thank you, Elihu for forcing us to think about these difficult things. We now come to two long speeches: the first by Job, summarizing his thinking, is 3 chapters long; the second by a new guy, Elihu, is 5 chapters long. Job cannot have been an old man when the disasters struck him. However long he lived (another 140 years according to the last chapter) he was only middle-aged for he had time to have another complete farming career and a considerable family. But much of what he describes in these chapters is remarkably similar to the common experience of an old person in western culture. Up to about 100 years ago most people in the world only lived in one or two or three places their whole lives long, often one as they grew up and just another subsequent to marriage. Consequently as they grew old they would be surrounded by people they had known for a very long time: family, friends and acquaintances. For many today things are very different. Education and job opportunities take us to live in many different places. Sometimes parents demand a weekly visit but that tends to be a disaster, as it leaves one not really belonging in either the place of residence or the parent’s home area. As a result of this mobility we will often enter old age and retirement surrounded mainly by strangers. The situation Job describes in a totally different culture and for very specific reasons is extraordinarily like that which may be your experience, as in part it is mine, or as it may be yours at some future date. JOB 29: 1 – 6. Assuming you are or have been married and had a family you will remember that it was great fun when you were in your prime and they were growing up. We then did all sorts of things: building sand castles, playing with toy trains etc. that we now have no excuse to do! JOB 29: 7 – 25. Our experience would have been, in detail, very different from Job’s yet it probably had much the same effect. We probably had a job, which gave us status. We mattered. We were somebody. Even if we had no very exalted role, not in charge of anybody else, we still had a position in some firm or organisation or in the family. We may not have realised it at the time but we drew strength from that sense of significance. But, if like me you are old, you will find it easy to relate to what Job says next. JOB 30: 1 – 15. What a magnificent phrase that is: “God has unstrung my bow”. Job no longer has the strength, or the will, to pull the bowstring back far enough to send an arrow far enough to matter. I used to pride myself on my ability to run upstairs two, or even three, steps at a time. No longer. Now an old man I go up sedately one step at a time. That is my equivalent to having my bow unstrung. Question: if you are getting older – what is your equivalent to the unstrung bow: loss of strength or beauty or what? More significantly, with retirement often comes a great loss of status. (More in Western societies than in those of the Third world where there is usually some role even the aged are expected to fulfil). No one now looks for your advice; no one looks up to you as someone that matters. Question: that is not true in all societies. How good is the one in which you live at using the advice and gifts of old folk? If circumstances mean that you, an older person, no longer live where you spent most of your working life then it may well feel as though you are being mocked by younger people as Job was, even when they are being polite to you. JOB 30: 16 – 41. Old age commonly brings aches and pains in joints and muscles! Job thinks of these as the work of God “tossing me about in the storm”. We think about such things in a very different way but the experience is just as real; my right ankle, left knee and left shoulder all ache! It is indeed like being tossed about in a storm. Unfortunately Job’s final chapter is a bad note to end on, here it is: JOB 31: 1 – 40. Each of us will have a different life story to tell. As we get older we tend to reminisce more and more, telling the old stories of what has happened to us and what we have done. Family and friends may get fed up with stories of the “good old days” if we tell them too often, and they may not have been all that good. It is easy to fail to realise how much the world, and probably our society has advanced during our lifetime. In our society, and many others, loneliness coming from the mobility of our lives or the smallness of our family can be the curse of old age for many. It probably was not Job’s problem although the depth of his grief will have tended to isolate him from other people. The element in the equation that is not considered in the book of Job is the role that the company of the Lord’s people should play in the life of those in distress or in old age. In Job’s day they were the people of Israel – but Job was probably not an Israelite – and in our day it is the local church. Sadly, because of the extreme individualism in modern Western society, it may not be very good at supporting the struggling. Even when it tries it is usually a case of one individual helping another rather than any sense of a corporate action supporting an individual. Other cultures in other societies often do these things much better. Job has succeeded in summarizing very accurately most of the problems of old age. I, for one, can relate to his mutterings very easily (I am now 80 years old). The trouble is that in all these 3 chapters there is very little positive at all. We have to wait until Elihu has had his say and the Lord speaks out of the storm clouds before we get any positive encouragement. Every good doctor makes a careful diagnosis of what is wrong with a patient before he prescribes a treatment or picks up his scalpel. This is the diagnosis – particularly if you are in your later years. This has been a strange study to write. There is very little that is positive here. But it is important to think about the situation we, or other people, are in. that is diagnosis. Question: can you think out what might be the cure for you? For others? This study falls into 2 parts. First there are the chapters after number 23 and up to chapter 28. But I am going to skip over these. They do not add a great deal to what we have already thought about and, indeed, appear somewhat muddled. So much so that many scholars think they have got scrambled somewhere between Job and us. Two bits are worth reading. The first is as much for amusement as anything else! Job has already called his friends “miserable comforters” and he now unleashes a real blast of sarcasm against them in 26:1–4..
Much more positively Job once again states that nothing will make him give up his faith in the Lord and his righteousness. Theses are words worth hearing in these days when so many are prepared to give up their faith and thus their integrity for the thinnest of reasons. Hear that in 27: 1 – 6. But then the steady progression of argument between Job and his friends is suddenly interrupted by a beautiful poem in chapter 28. At first sight it seems to cut across the main argument of the book and not to be about the same sort of things at all, but in fact it takes us back to and reminds us what the whole book is really about. This is indicated by the last verse of this chapter repeating the main points of the very first chapter of the book. The argument in this chapter 28 is so subtle we reach v 12 before we are told what the subject of the poem, and therefore of the book really is. Though even before we learn that we can still understand the writing as an extended metaphor of all the to-ing and fro-ing that has occurred so far. Here are those first 11 verses of chapter 28. Isn’t that magnificent? Just like miners, Job and his friends have been hacking away in the dark hoping to find some precious idea that will light up the gloom that surrounds Job. Neither the lion nor the eagle can get anywhere near what the miners are after. It is only mankind that has any interest in things like this. We finally learn what it is all about in v12. And this is expanded on in the rest of the chapter: first with a great statement of praise of how important it is and then the statement that it is ultimately a spiritual attribute and can therefore only be obtained from the Lord. Here is the rest of this chapter. the personification of this second meaning of Wisdom, with the NT revealing Jesus is that personification. There are associated concepts of: the Sage, the Wise Man (or Woman), and the books of Wisdom (Job, Proverbs, Ecclesiastes, Song of Songs and some Psalms; also Sirach and the Wisdom of Solomon in the Apocrypha). We, like Job, are most interested in the first of these: how can we live well in this difficult world. There is plenty of wisdom, knowledge and understanding all around us. We use it everyday when we watch the TV or go out in a car, but none of that sort of wisdom says anything about the meaning of life and how we can best navigate all the difficult situations, which are an inevitable part of living. In short, that sort of wisdom is not about what I have called living well. To reach that goal, i) in my list, will mean that we have to understand ii) God’s knowledge in Creation and iii) the role of Jesus in imparting wisdom to us. None of this is being wise in any sense of becoming a graduate, or getting a Master’s, let alone gaining a Doctorate, in either a secular field of study or even a Biblical one. No, it is something well within the reach of each and everyone of us. It may be a little old lady, like my lovely, long dead, grandmother, who is the wise person in this Biblical definition of Wisdom. It is all about something difficult to describe but easy to recognize when you meet a truly wise person. It is about living well, living contentedly, making good decisions, fitting into one’s world well, and relating well to other people. We can all do all those things but we can also all fail horribly to do them! Question: of the people you know well, who lives wisely? Try to work out what it is about those people that made them go to the top of your private list of wise people. We cannot live well by accident. Living well doesn’t just happen. We have to think out what our aims and objectives in life are before we will get anything right. It is really sad that so much of western culture refuses to do so. We are like Israel in the time of the Judges when ‘everyone did what was right in their own eyes’. In the ancient world Jewish scribes and Greek philosophers argued about what was the best way to live. We don’t. We just try to accumulate more and better material things, thinking, quite wrongly, that a bigger pile of toys will bring us true satisfaction and contentment in life. They won’t. Let me reread what the author of the poem said in v12 – 22. He asks himself, and us, where can true wisdom be found – how can we learn to live well. His answer to his own question is – I can’t find it! I don’t know how to live well. And I am sure we can all say ”amen” to that. Here are those verses. 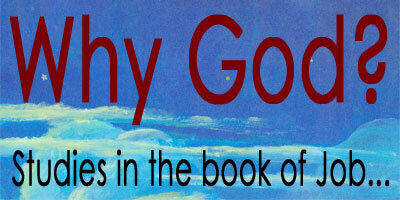 But then he realises what the answer to his question is: it is found in God, the Lord, and only in him. That is what he says in the remainder of the chapter, v 23 – 28. Here it is. The crucial phrase is “the fear of the Lord” in the last verse, a surprisingly ordinary common phrase in the OT. But it is easy to misunderstand in our translations. It has nothing to do with being frightened. It means respecting, honouring, obeying the Lord. To borrow, and change slightly, a NT phrase it means to walk in step with the Lord, with Jesus. and delighting in mankind.” So the hymn writer was right when he talked of Jesus “flinging stars into space”. Paul hopes that the Colossian Christians “ may have the full riches of complete understanding, in order that they may know the mystery of God, namely, Christ, in whom are hidden all the treasures of wisdom and knowledge.” This is where Wisdom has got to – it has come into full view in the person of Jesus. In Romans 6 Paul says “all of us who were baptized into Christ Jesus were baptized into his death? We were therefore buried with him through baptism into death in order that, just as Christ was raised from the dead through the glory of the Father, we too may live a new life.” And then goes on in v8 “if we died with Christ, we believe that we will also live with him”. To live with him is to fear the Lord, to use Job’s language. To use more modern language: it is to be plugged in to him so that all his Spirit power and, in particular, all his wisdom can flow into us - you and me - an endless and bottomless resource for living well. We are plugged in if we pray, read, worship and keep the ways and calls of Jesus constantly active in our lives. Wow! Question: Are you plugged in? Do you live well? Do you know this great resource, which will take you through life, living well, even if your life looks desperately difficult from outside? I do hope so. Job begins to see his way forward. In chapter 20 Zophar is clearly convinced that Job is a sinner and is suffering as a direct consequence. He doesn’t say so directly but it is the obvious implication of what he says. In the Bible sin is almost always a result of how somebody has failed to live well in relationship to other people. It is seldom about a failure to live well directly towards God by failing to worship correctly or failing to follow the correct prescribed religious observances. So Zophar criticizes Job in his actions towards other people. Zophar raises another and more difficult question. He seems to suggest that there is a major difference between good and evil in how long they last. He says that evil is inherently short lived, unlike good that lasts. Well, he doesn’t actually say that good lasts longer but that, again, would seem to be strongly implied by what he says. Listen out for those two implications as I read the chapter. Question: what do you think? Is it true that those who delight in evil things know that they do not last? Are they always looking over their shoulders wondering whether they will be found out? Are good things always more enjoyable than those that are not good? Answer: that is a really difficult one, but it is worth thinking about. Think of the things that you do. Is it true that the enjoyment of the good lasts longer than the enjoyment of the not so good? I think it is because I am happy to remember the good things I have done but always try to forget the bad things. But that is a personal opinion with which not everone would agree. Have you got a friend you could argue it out with? In the next chapter, 21, Job vigorously repudiates the implied accusation against him. He points out that some people behave very badly but God does not punish them. He reckons that we all, good and bad alike, have to live in the middle of the NCL, the Normal Chaos of Life. Here is chapter 21. I introduced the idea of the NCL early in these studies, which may have surprised or even shocked you! My justification for doing so is here in this chapter and will be confirmed in chapter 23. Very often preachers and teachers will take a very simplistic line: good things happen to good people, bad things to bad people. This may be very subtly done. When we were teaching in a school in Pakistan many of the staff would tell the kids: your parents are doing good things so no harm will come to them. They had a difficult time explaining what had happened when one of the parents was killed by a falling rock on a straightforward local walk. The NCL exists, as Job says. That all makes good sense. The trouble is that it is all wrong; it is not a true picture of Job. Job’s self portrait in chapters 29 and 32 is very different and fits much better the view we get from all the rest of the story. He was an essentially good and righteous man. Are you rich? Am I rich? Our probable reaction is to say – of course not! But by the standards of the ages we are rich. You are using a computer or a tablet to hear or read this. That is an item of enormously sophisticated luxury, unknown to the vast majority of those who have ever lived on this planet. We are rich. Question: in what ways do you mistreat the poor? Who suffers so that you can eat cheap food, wear cheap clothes and so on? Are there subtle ways that we, like Job according to Eliphaz, live well because we are rich? Answer: up to you of course. But these are difficult things to confront if you, like me, live in the affluent west! Job continues to struggle with his problem – what is called the problem of Theodicy, that is ‘how can we reconcile so much evil in the world with our understanding that God is a good God?’ First he struggles with his inability to get close enough to God to challenge him over what has happened. Here is chapter 23. Job has a problem but he is also close to, if not exactly a solution, at least to the best way forward for him, and indeed for us. He wants contact and fellowship with God, not a solution to the academic riddle of Theodicy. He is very right to do so and will eventually achieve that contact and fellowship in the last few chapters of the book. Wow! Rejoice in whatever of this world’s difficulties, troubles and agonies may come your way because you have a glorious future with the Risen Jesus. In these chapters Job says some truly astonishing things that we may otherwise overlook. To give you an idea of what is to come these are: in chapters 16 and 17 he reckons that he has been attacked by God, which leads to him saying that he has been abused by God; and then after a further statement from Bildad in chapter 18, which implies that he, Job, must be a wicked man, Job says in chapter 19 that although God is against him he has a strong hope that he will be able to state his case before the heavenly court and he hopes to be supported by an effective advocate. Who exactly that advocate will be is not clear to him – though perhaps it is to us! First, the relatively easy passage, Job 16:1–5, where Job is asking himself how he would do if he was trying to comfort a friend who was suffering as he is suffering. Here it is. If someone else is suffering it is so easy to stack up a heap of conventional phrases such as ‘you will soon feel better’ even when we know that our friend is dying, or, when we visit someone in hospital ‘cheer up, I’ve brought you some grapes’ which we then proceed to eat while our friend cannot face food of any sort, and so on. Question: how do you do as a comforter? How would you rate yourself? Answer: up to you, of course. Paul never actually lists comforting as a gift. He does tell the Christians in Corinth that we should all be good at comforting because we claim as our Father God the ‘Father of compassion and God of all comfort’, but I do think some people are given a very real gift to say the right and helpful thing more than others do when faced with suffering. Some people are more adept at saying the wrong thing, than the right and helpful thing when someone is having a very hard time. If you are a gifted comforter make sure you use your gift as much as possible. Now we come to the difficult passage 16:6 – 17. Job says his God is his enemy, his attacker and that there is such a thing as divine violence and abuse. Here it is. Is it really so, or is Job just lashing out with words in his frustration and bitterness at what has happened to him, and his, for no reason he can begin to understand. I have been fortunate enough to live a peaceful life without any major traumas but many of you listening or reading this may well be shut in, unable to get out much because of some major trauma in your life or struggling in other ways, so I must be careful what I say from a position of inexperience. There are other statements like this in scripture. The Psalmist says ‘Your arrows have pierced me, and your hand has come down on me’, but then goes on to say ‘because of my sin’. Lamentations chapter 3 talks at length of the violence of God but the writer cannot believe that will go on for ever because ‘of his unfailing love’ and traces the problem back to sin. Job never does that. There will eventually be comfort for Job when we get to the last chapter of the book. But there was no comfort for The Jewish members of God’s ancient people who died in the holocaust less than 100 years ago. There are, I think, 3 lessons here. Usually, but not always, there is light at the end of the tunnel. We are always subject to the NCL, the normal chaos of living. That is the way God created the world. We are in that world and therefore have to accept that world the way he designed it – even when we do not understand the design principles. Jesus taught us to think of God as our loving heavenly Father, contrasting sharply with the most obvious OT picture of a creator/ruler/judge, even though there God is also a covenant God of steadfast love and faithfulness. Job evidently thought mainly of the creator/ruler/judge God and could not resolve the apparent conflict between that God and the covenant God. Neither will we ever be able to do so. We have to live with that conflict, holding to both images, not despairing because we cannot resolve the paradox, continuing to honour and trust the Lord and drawing strength from both Biblical pictures. Only that way will we be able to live with the complexities of life that we cannot fully understand or resolve. Job is very ready to give up. He says this in the vivid pictures of chapter 17. Next Bildad speaks up in chapter 18. He makes a fundamental mistake. He thinks the line between good and evil passes between people with some on one side some on the other. But in the real world it is not so. The line between good and evil runs through all of us; some of you, some of me, is on one side, some on the other. We are, like all the human race, made in the image of God, but on the other hand have sinned and fall short of the glory of God. But Bildad is sure that Job is entirely the wrong side of the line between good and evil. He doesn’t quite say so but it is very clear that that is what he thinks is why Job has had such a tough time. And so to the famous chapter 19: famous because of one phrase ‘I know that my redeemer lives’ and one song in Handel’s Messiah. But is it really a statement about Jesus? We need to look at it carefully. I will read the first 6 verses where Job continues to react against his so ineffective comforters. At this point I am going to switch from the NIV that I have been using as the version you are most likely to have to the Contemporary English Version, the successor to the Good News Version, because the argument is easier to follow in that. In the next 16 verses he describes his plight in some vivid images. He is trapped in a hunter’s net; a landslide blocks his way; he is caught in the dark; he loses his high place in society; he is uprooted like an old tree; he is besieged in his tent. Worse than all that he has lost all his closest relationships with family, household and friends. It is a sorry story, which I now read, 6-22. Yet, all is not lost. In a surprising and memorable passage Job now turns to God. These are verses 23, 24. He wants what he says to be recorded, not in a computer memory, which can be so easily erased, but engraved in rock with the letters filled with lead so they can be read forever. At least, that is what he hopes for. The CEV has ‘I wish’ and the NIV has ‘Oh that”. He has no certainty. Then he makes his great pronouncement; here it is 25 – 27. It is all about his goel, as the original word is, translated as redeemer or saviour, his kinsman-redeemer, who will come to his rescue. Even after all his bitter and angry statements railing against God he knows that only God, or some delegate of his, will be adequate to come to his rescue. The OT goel was a close kinsman, an elder brother or a senior uncle or some other close and senior family member, whose responsibility it was to avenge a wrong, buy back a field that was in danger of being lost to the family estate or marry a widow to continue the family (as Boaz, the best known goel, did for Ruth). Experts argue about whom Job was thinking of when he wrote that. We don’t have to argue about who our goel is, it is Jesus. It is rather surprising that the goel does not appear in the NT. The writer to the Hebrews perhaps get closest when he says Jesus was ‘not ashamed to call us brothers and sisters’ but he then goes on to talk about him as our high priest and not as our goel. However we can say with certainty that he is our kinsman for Gal 4: 7 says ‘you are no longer a slave, but God’s child; and since you are his child, God has made you also an heir’. He is, as it were, our elder brother. And he is our redeemer as Peter says in his 1: 18, 19 ‘it was not with perishable things such as silver or gold that you were redeemed from the empty way of life handed down to you from your ancestors, but with the precious blood of Christ’. So he is our goel, our kinsman-redeemer. For Job it was a just a hope, an ‘I wish’ but for us it is a certainty ‘God made us alive with Christ even when we were dead in transgressions – it is by grace you have been saved. …it is by grace you have been saved, through faith – and this is not from yourselves, it is the gift of God ‘. Sometimes it doesn’t feel like that. We are all capable of sliding into a dark, damp ditch of despair, perhaps not as deep and dark as the one poor old Job had got into, but just as real to us. But we have a better promise and a clearer hope than he ever had. Brother, sister, have courage. Chapter 12 - after all his ‘friends’ have stated their cases and he has answered them Job makes a major statement in these 3 chapters of how he views the situation. Much of what he says could be regarded as very pessimistic as he expresses his, quite natural, unhappiness at what has happened to him and his family. But I think we are expected to learn several things from his experiences and what he says, so we will try to make the most of it! To repeat yet again what was said in the introduction to the first study: behind all the arguments of the 3 friends is what we are calling a CEP, a cause-effect principle, operating in moral theology. They are all, his friends and Job, saying that everything that happens to a person has a moral cause hidden behind it. In essence: good things happen to good people; bad things happen to bad people. From that starting point his ‘friends’ have deduced that however much Job may protest otherwise he is not a good person because bad things have happened to him! This theology is still around both inside and outside the church. It appears every time someone says “he didn’t deserve that!” or “God’s not fair!”. In these chapters Job begins to understand and to argue that the world does not work that way. Life is just not as simple as that. Question: Here is a question about those verses. What does Job really mean by what he says here? How would you describe his attitude expressed in these words? Answer: Job is being very sarcastic. You have to be quite a clever person to be as sarcastic as this! He is clearly quite fed up with the way his so-called friends are treating him. He knows, as we know from having read the first 2 chapters of this book, that he is not guilty of serious sin; his experiences are not a reflection of who he is or what he has done; he is not being punished in any way for misdeeds he may have committed. What has happened is part of the NCL, the normal chaos of life. Job is still being sarcastic through the rest of the chapter – the animals are wise, wiser than his friends, God treats the high and mighty, people like his friends, just the same as everyone else, nations rise and fall as God decrees. And we suddenly realise that, in being sarcastic, Job has actually moved forward to understand that life is chaotic, the NCL does happen, that is the way the world works. The next step that he takes in the next chapter is to start arguing that he wants to appear before God in a court of law to argue his case. Job 13:1–19. Job is starting to be a great deal more positive. I am no expert on the stages of grief but I think this might be regarded as a good sign – he is starting to think more forcefully and in it all he is still declaring his faith. He said ‘though he slay me, yet will I hope in him’. Well done Job – that sounds good. He continues in much the same way in the remainder of the chapter – Job 13:20-28. But it proves to be a false dawn. In the next few verses, 14:1–6, he slides back into despair. He wants God to leave him alone. But then, equally suddenly, he thinks of a metaphor for his existence in 14: 7 – 9. READ. If a tree is cut down it is not finished – it will send out new buds, it will sprout again. It won’t grow to be the same tree it might have been before, but it will grow, more plant like, less tree like, but still alive and still valuable. There is something we call hope. And yet again he changes direction in 14: 10 – 22. READ. He goes backwards and forwards. Humans die and that is the end of them unlike a tree. But perhaps that is a good thing because his sin, supposing that that is the problem after all, will be covered over. No – perhaps it isn’t because the Lord God destroys hope the way a stream in flood wll destroy the surrounding ground. Make up your mind, Job. Which way is it? It would be easy to get fed up with Job in his swinging backwards and forwards, his pessimism and his optimism, his inability to make up his mind about the future – is there hope, somewhere in the future, or is his future, our future, as black as he thinks in his down moments. What positive, helpful, ideas can we get from this tossing and turning of Job. They are not immediately obvious but I think there are three. The first is this. Job is becoming furious with his 3 friends because they have gone on blundering along with so many words using OK phrases as bandages to wrap around his wounds without healing them at all. Paul said the gift of prophecy is ‘to speak to people for their strengthening, encouragement and comfort’. It is all too easy to major on the first 2 of those and forget about the comfort bit. Not everyone is able to say the right words to offer real comfort to the suffering or struggling. It is a real gift for those who can. These 3 guys did not have it. Question: what about you? Do you have this gift? Answer: up to you, of course. If you do have it – use it. If not – don’t make the same sort of mistake these guys did. The second idea we can get from these chapters is this: We can go down like Job. Horrible things can happen to us, and to those whom we love, our world can crash round our ears but that is not the end. We should still have faith; we should still be faithful. ‘Though he slay me, yet will I hope in him’ said Job and that can and should be our statement too. I didn’t call it a prayer in that last sentence, but a statement, for fear that it might then be read as a possibility and not, as it should be, as a certainty. We are all subject to the NCL, some of us more heavily, more dangerously, than others. We don’t know why that is the way the world is, we just have to accept that the world that our loving God, our Creator God, created is a world of chaos. He may know what it all means – he does know what it all means – but we do not. And the third thing we have to learn from these experiences of Job is this: the nature of God is such that we may argue with him. He is that sort of God. No, shut away, unapproachable God is he. Job, like the psalmist, was allowed to complain, to lament, to grumble, to sulk, but God did not refuse to listen to him. Sometimes we are like that: complaining, grumbling, lamenting, sulking, but God is still our God, our loving, listening, hearing God. That is easier for us to understand, to grasp than it was for Job because we know about Jesus. We know that, although Jesus was the agent of creation, responsible for all that is, he was still prepared to listen to, even to argue with, the non-Israelite woman who was desperate to have her daughter healed. He said ‘it is not right to take the children’s bread and throw it to the dogs’ and she retorted ‘even the dogs eat the crumbs that fall from the master’s table’. And he accepted what she said and changed his mind so that her daughter was healed. That is the sort of God with whom we have to do: a loving, caring, arguing, concerned God – in fact an amazingly human God (because we are made in the image of God so, to at least some extent, he has to be in the image of what is best in being human). Jesus, God, walked on water in the midst of the storm that so upset the disciples in the boat. What a wonderful metaphor that is of how our God will walk with us in the midst of all the storms of life on this earth, the NCL. Job was struggling – very understandably. But by the grace of God he had some idea that he was not alone. In all his mood swings, God was with him. He might despair for the moment but that despair would pass because God was with him. That’s the way it is with us – if we are prepared to recognize it. Job finds his voice; he and his friends argue. The pattern of the book is simple. Within the frame given by the prose of the first two and the last chapters and following an opening speech from Job there are 3 cycles of speeches: Eliphaz, Job, Bildad, Job, Zophar, Job and round twice more. That should be 3x6 = 18 speeches but the last speech of Zophar is lost, perhaps deliberately to show the answers are incomplete. The next chapter after these cycles of speeches (28) is a poem to Wisdom. That is followed by a speech of Job and a lengthy rant by a 4th guy, Elihu. Only then do we hear from the Lord God himself, pointing out how Job has failed to understand what has happened and to learn from it. Then, finally, there is an epilogue, probably drawn from the old tale, which is used to teach one final fundamental lesson about life. The poetic dialogue begins after those first 2 chapters of prose we thought about last time. Job expresses his total horror at what has happened to him in chapter 3; his first friend, Eliphaz, tries to analyze what has happened to him; Job replies and then a second friend Bildad speaks, expressing his view of Job’s problems more openly and clearly than Eliphaz did. I will read chapter 3, then a little of what Eliphaz said in chapter 4, and part of Job’s reply, then we will skip to what Bildad says in chapter 8 and Job’s reply. Here is Job’s lament in chapter 3: 1 - 19. Note how striking the poetry is. All that is very understandable. There is next to no sign in the Old Testament that they had any idea of a life after death except a descent to Sheol for an experience they knew nothing about. The NT is very different. There we find statements like “longing to be clothed with our heavenly dwelling, so that what is mortal may be swallowed up in life” in 2 Cor 5: 4. Question: why the difference between the OT ideas and those of the NT? What should our reaction be? Answer: of course this all hinges on the resurrection of Jesus Christ. “Death is swallowed up in victory” as Paul says. We know that we should never share these negative attitudes of Job whatever happens to us in this life. At this point I will skip to the next chapter because the last few verses of that chapter do not add much to the argument of the book. I will be doing this through these studies, picking out the most interesting and important bits of the book. That isn’t to say that it is not worth reading it all. It is. Here then is Job 4:1–9. Eliphaz asks a very sharp and important question to all those of us who make a Christian profession. “Should not your piety be your confidence and your blameless ways your hope.” In other words he is asking whether Job was righteous just because it was the best thing to be from his point of view. Are we Christians because this is the best option – we can live more comfortable lives as Christians, or as sometime Christians (when it suits us) - we can keep the family happy – it sounds good in the community – we want to go to heaven when we die? Question: are you a Christian for these or any other selfish ‘you based’ reasons. Answer: the answer is yours, obviously. We should be Christian - we should be following Jesus -because we feel compelled to do so by who he is and what he has done for us, oblivious to our own immediate comforts. 200 years ago those who went on mission to the west coast of Africa lived on average for only a few months before they caught one of the lethal diseases of that area to which they had no natural immunity. They did not consider themselves, their own comforts and even their own lives, as of any significant account in the service of the King. Neither should we. Eliphaz continues in 4: 12 – 21. In a very striking passage he says he has had a dream which introduces the idea that will persist throughout all the speeches of all Job’s four friends (if friends they can be called) that Job must have done some thing very wicked for all this to have happened to him. Part of Job’s reply is in chapter 6: 2 - 4, 14 – 17, 21 – 30. That brings a reply from his second friend Bildad in chapter 8. It is now clear that the friends, and even Job himself, are working from the assumption that bad things only happen to bad people. Therefore Job must be in so much trouble because he is a bad person, having undisclosed sin in his life, which he is hiding from them and even from himself. We know what they don’t know, that that is not the case. Job has experienced all his troubles only as a result of what the author has described as a discussion in the heavenly counsel. Or in other words he is experiencing what I called the NCL, the normal chaos of life. We have to accept that sometimes things just happen for no reason that we can discern. Sometimes things happen because of other people – it was the Sabeans and the Chaldeans that stole all Job’s huge herds of oxen, donkeys and camels. But sometimes it is natural forces - it was lightning and storm that killed his sheep, his servants and his children. That is our experience too. Some of the chaos of life we experience is because other people, unwittingly or deliberately, have disturbed the even progress of our existence. Some of the chaos is because of all sorts of natural things, tsunamis and storms, illness and accident, which may have deeply affected our lives. and when you pass through the rivers, / they will not sweep over you. / the flames will not set you ablaze. He does not say I will help you to avoid the rivers and dodge the fires. But when you are in them, battling with them, I will be with you. We simply have to accept that the world we are in, the created world, created by our loving God, is subject to the Normal Chaos of Life and that no Principle of Cause/Effect operates. Too many people, too many Christians, try to convince themselves that there is no such thing as NCL. They say that the Lord is in control so there cannot be chaos. He is indeed in control but we do not know what he is doing, or why, so we are far better to accept that it looks like chaos to us and get on with living in our chaotic looking world. Too many people, too many Christians, think that the CEP does operate and get very upset, sometimes even losing their faith, when it doesn’t work the way they think it should. They say things like ‘my lovely son or daughter died – life’s not fair – so I can’t believe in God any more.’ Why do they do that? He never promised a CEP. Why should he be blamed when it is clear there isn’t one? The book of Job is totally fascinating – but difficult. It is deeply concerned with the question of wisdom – how does one live well – but we will leave consideration of that to later in our studies when the question rises to the surface. In particular the book deals with the questions that arise when disaster strikes. There are no clear answers to the questions it poses. Instead there are lengthy dialogues between Job and his three friends, then between him and a rather brash young fellow and only finally with God. We are left to think and puzzle over what is said and draw our own conclusions rather than treating it as an authoritative text that tells us things we should believe or do. One commentator says “we need to be transparent about the hazards of being human and teach the full witness of Scripture, which is messy, complex and, ultimately, wonderfully true.” That is nowhere more the case than in the book of Job. This is an attempt to teach that full witness as we are given it in this book. What a situation! Before looking at it in any detail here is an overview of what is to come. Then the major question 2) is: how can it be that our world, and our life in it, is subject to so much chaos. It also raises two other questions that follow from those two: 3) how can we live wisely in this difficult environment and 4) how can we trust in the reliability of God if he presides over such an erratic world. We will not get complete and totally satisfactory answers to those questions but we will be forced to think through our attitudes towards them and come to a deeper appreciation of this world we live in and the God who created and now controls it. Question 1 revolves round one false idea that was common in those days and is still very common today. That is that everything that happens to us has a moral cause behind it leading to the effect we see. We will call this a CEP – cause/effect principle. It suggests that if I am good only good things will happen to me; if I am bad then bad things will happen to me. That leads to commonly heard statements like “he didn’t deserve that”, implying that something terrible has happened to an essentially good person and that it shouldn’t have done. The CEP does, of course, operate in the physical world: if you put salt in water you get salt water; if you kick the table leg you will get a bruised toe. The book of Job teaches us that a principle like that does not operate in the moral and ethical world. Question 2 revolves around what we will call the NCL – normal chaos of life. Many Christians would query use of the word chaos in relation to the way the world works but it does seem to be the right word to use in this book. We will question the use of it more closely in study 9. As we shall see the book of Job teaches us that life is not well ordered. It hasn’t been since the Creation. However difficult it may be to accept that God did not create a neat and well ordered world but one that appears to us to be a thoroughly erratic one that is what he did and we have to live in it. To move on to the detail of chapter 1, here it is. Job was probably a real person who gave rise to many stories. He lived in the Middle East, but not in Israel, sometime about the same time as Abraham. The book was written by an Israelite much later, probably about 700 BC possibly using an old beginning and the end as a frame into which he put the lengthy poetical dialogue which is the main part of the book. The obvious intention was to do something to answer some of the questions raised by the old tale. We will look at selected sections of the book, not all of it, which can be thought a bit repetitive. The Satan of this chapter is not the devil of later books of the Bible. He is a member of the Angelic Council (1: 6). He is the Accuser, the prosecuting counsel before the Lord, a sort of Attorney-General so we are straight into a courtroom type of thinking. We shall soon find that much of the book is concerned with Job wanting a judicial review of his case. He wants to be able to argue his case before the Lord. The challenge and counter-challenge between the Lord and the Satan in these first 2 chapters are curious to our eyes. The point in that culture is that if Job does not love God for his own sake, but for what he can get out of it, the honour of God is severely damaged. He would be shamed. To explain that: if a woman loves a man, not for his own sake but because he is rich we – in the Western world anyway – would not think well of the woman. But in this ancient culture it would bring more shame on the man. Similarly if Job does not love God for his, God’s sake, that brings shame on God rather more than on Job. I’m going to ask some questions, pause briefly to let you think about them – and possibly use the pause button to do so – then pass comments on them. Question: Some people’s first reaction to extreme trauma would be like Job’s; tearing his robe’s and shaving his head (but perhaps not worshipping as Job did). Stop and think for a moment: how would you react to extreme trauma? Would you let everyone know about your grief or would you bottle it all up inside? How long for? Would this be a healthy thing to do? Answer: Of course I don’t know what your reaction would be. Possibly you don’t either as we often don’t know ourselves very well in situations like this until we actually experience them. The way we react to such things is very dependent on the culture of our society. Westerners tend to bottle things up. Other cultures are often more open about grief and better at sharing it. Question: Which of the 3 friends actions here would you think most helpful to Job? How would you act in such a situation? How should you act? Answer: Their silent sharing of his grief would most helpful to him. There would be a great temptation to say all the culturally approved things, many of which are not very helpful. It is a great gift to be able to say truly helpful things in a situation like this. Question: What are the implications of that statement? What does it tell us? Answer: all things are in the hands of the Lord, both good and bad. The Bible never teaches the existence of a good God and a bad Satan, or nature, or anything with a power that God does not control. Even when Paul talks about “the devil’s schemes. … the powers of this dark world … the spiritual forces of evil in the heavenly realms. … and the evil one” he is talking about powers that are acting only with the express permission of the Lord God. That is hard to understand, but it is the way the Bible speaks of such things throughout. The most stunning statement in these chapters is Job’s reaction to what has happened: the Lord gave and the Lord has taken away, blessed be the name of the Lord. Question: What does this tell us about Job’s view of God and his relationship to him – and therefore of what ours should be? Answer: Job had a deep sense of relationship with God that had not been shaken by the appalling external events. For those of us (Westerners in particular) who are encouraged to seek our own good before anything and everything else, thus doing things like divorcing a spouse who no longer seems best for us, this approach to our own gratification is a fundamentally important lesson.